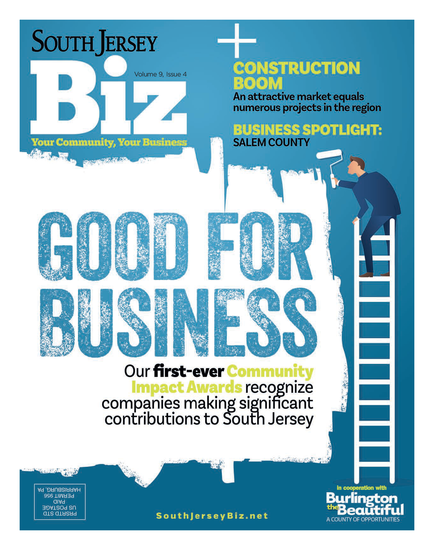 112 of South Jersey’s most respected businesses. Today, there are more businesses setting up shop all over South Jersey than ever before, and there are some that have called this region home for generations. From accounting, banking, engineering, financial services and IT support to business consulting, construction, real estate and trucking—you name it, South Jersey has it. But who can you trust for your organization’s needs? Our Best of Biz list, compiled by editorial selections and readers’ picks, is complete with companies that have proved to be the most reliable and excel in their respective fields. Haven Media and Marketing is a full-service, woman-owned agency that provides exceptional advertising and design services driven by effective marketing and media strategies. Think of Haven as an extension of your organization to navigate the complex world of marketing and advertising. At the end of the day, clients appreciate their accessibility, deep understanding of the market and integrity. City Invincible Architecture, Interiors and Urban Design is a full-service design firm specializing in health care, education, multifamily residential, senior living, hospitality and city planning. Founded in 2016 and located in Camden, City Invincible represents the merger of three regional design firms—Alberto & Associates, Berzinsky Architects and LaVardera Architects—making “CI” both a new firm and a firm with over 40 years of combined professional experience. In 2017 the firm received numerous awards including SNJBP Project of the Year, Gateway Spirit of Community Award and The Anointed News Journal Circle of Winners Award. Monthly accounting service from the South Jersey experts at Business Accounting Systems is a great way to ensure that your business has the most accurate and up-to-date financial information available. Their financial team provides convenient monthly accounting services to your organization and has served many clients from surrounding areas, including Philadelphia, Delaware and Maryland. Business Accounting Systems provides all the services clients need in one convenient bundle so they can get back to the job of running their business. Established in 2000 by Gerry Banmiller, 1st Colonial Community Bank has been investing in the future of its community for 18 years. In addition to its administrative offices in Cherry Hill, 1st Colonial Community Bank operates through two conveniently located offices in Collingswood and Westville. Earning a four-star rating for 64 consecutive quarters by Bauer Financial, 1st Colonial Community excels in areas of profitability, asset quality and customer service. The stability of their officers and lenders provides service beyond what is provided by most financial institutions. With offices in Moorestown and Center City Philadelphia, Emerson Group provides recruiting, staffing and consulting services to companies within all industries. Since 1971 they’ve operated on a foundation of the core values of honesty and integrity; fairness, respect and genuine care for others; and personal touch. Emerson’s core purpose is to help others become more successful. In 1964, GZA’s founders shaped the firm based on the values of integrity, professionalism and loyalty. Since then, the company has grown into a major multi-disciplinary, employee-owned firm focusing on environmental, geotechnical, ecological, water and construction management services. The firm employs 650 people in 31 offices in the U.S.—including an office in Philadelphia. GZA’s experts build on a legacy of trust through their personal commitment to excellence. Apex IT Group provides IT solutions to technology dependent businesses in the Greater Philadelphia region. Core services include strategic IT consulting, IT outsourcing, cyber security consulting, cloud computing solutions and IT project services—delivering results through a proprietary process and mature managed services delivery model. Providing a disciplined approach to service delivery, Apex produces predictable outcomes that positively affect profitability and growth. Lauletta Birnbaum, LLC is a business-smart boutique law firm that covers the full spectrum of business law. They combine the expertise and results of larger firms with the high-level sophistication and value-consciousness of a smaller boutique. Lauletta Birnbaum represents private and public companies in various industries, including many in finance, real estate, software, data and high technology. They pride themselves on their ability to anticipate the needs of clients and react quickly to change, and help move your business forward. Previous awards include being a finalist in the smartCEO Circle of Excellence Awards and Most Trusted Boutique Law Firm of the Year by Acquisition International Magazine. Founded by Tim Jennings in 1998, Telecorp Inc.’s mission is to provide telecom and IT management for any size business. Located in Woodbury, Telecorp is an authorized dealer for some of the most technologically advanced manufacturers such as Cisco, Samsung, Avaya, Dell and HP. Telecorp also offers the best in carrier services,partnering with names such as Netcarrier, Comcast and Verizon. 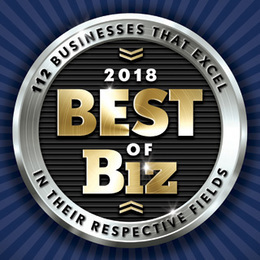 Telecorp was voted “The Best of Gloucester County” as Gloucester County’s favorite IT/VOIP/Computer Company for 2017-18. Baratz & Associates is a leading Delaware Valley accounting, tax and business consulting firm dedicated to the success of its clients. Established more than 35 years ago, their accountants and consultants provide the highest standards of professional service to individuals and business owners with a unique focus on strategy and creative thinking. They provide accounting, certified audits, tax planning, valuations, acquisitions analysis, financial projections and consultation for negotiations and litigation. Through their partnerships with clients, colleagues and community, they build and further relationships that create solutions for financial success. The First National Bank of Elmer (FNBE) is celebrating 115 years serving the South Jersey community. Since 1903, and in a time of corporate mergers, it is unique that a bank founded well over 100 years ago is still known by the same name and is still primarily owned by individuals who live in the area and near the bank and its branches. FNBE was, and is still known as “The bank of friendly service,” with employees knowing their customers by their first names and serving in the communities where they live. For 18 years, Hutchinson Business Solutions has been working with clients, validating cost and providing opportunities for saving. Services include business taxes, communications, energy and insurance. They concentrate on the costs many people take for granted and identify sources of additional revenue that increase companies’ bottom lines. ProShred Southern New Jersey provides onsite document and hard drive destruction through regularly scheduled service or one-time purges. Each solution is tailored to the client’s needs resulting in customer satisfaction and leading to this third consecutive reader award for Best in Biz. The need to hold themselves to the highest levels of data security has resulted in them being not only NAID AAA certified, but also having the additional ISO 9001 certification. These audited certifications coupled with onsite shredding allow businesses to focus on other areas secure in the knowledge that they are complying with the latest legislation. Wilmington University is celebrating its 50th anniversary year as a private, nonprofit institution that is setting new standards for flexibility, affordability and academic distinction. The Wilmington University difference begins with work and life-accommodating year-round class schedules and full online learning capabilities, and it has one of the lowest tuitions in the tri-state region. Combined with an intense focus on academic excellence and individualized attention to students in both degree and certificate programs, the WilmU difference is reflected in every student’s achievements and each alumni’s success. Cipriani Remodeling Solutions has been doing home remodeling for the past 40 years and provides design/build remodeling services for kitchens, bathrooms, additions and whole home projects. They offer award-winning designs and building services with meticulous craftsmen, with a trusted team to help educate the client to make informed decisions; and to make it the easiest and most risk-free experience you can have, along with personal attention from start to finish. Kaplin Stewart combines the depth and sophistication of a large business law firm with the agility and entrepreneurial spirit of a small one, allowing them to offer timely, practical and cost-effective results. Everything Kaplin Stewart does is based on their clients’ goals and objectives, while being cognizant of their bottom line. They pride themselves on their responsiveness and accessibility, and these attributes have earned them the confidence of clients large and small, from Fortune 500 companies to closely held businesses; governmental entities, nonprofit corporations and individuals. With multiple offices to serve you, they provide the business and legal savvy that you and your company need to compete and thrive. Established in 1994, ads-s has evolved from a distributor of printing supplies to a full-service printing solutions provider for the Delaware Valley region. Headquartered in Swedesboro, ads-s has attained the highest partnership status possible with HP. With this accreditation, ads-s is a part of an elite group within HP’s imaging and printing division. The company has also attained digital sending solutions status with HP regarding solutions around the printing environment. As an agent for Atlas Van Lines, Anchor Moving & Storage is family-owned and -operated and has been providing superior relocation services for residential and commercial clients worldwide since 1969. They have the capability to facilitate projects of all sizes, efficiently and on time, and develop a customized plan tailored to each client’s specific needs. Anchor has been recognized by the NJ Warehouseman and Movers Association as a "Circle of Excellence" mover, awarded the "Super Service Award" from Angie's List for achieving and maintaining a superior service rating and ranked by Inc. magazine as one of the fastest growing companies in the Delaware Valley. Markeim-Chalmers.com Markeim Chalmers is a full-service commercial real estate firm, servicing office, retail, health care and industrial markets throughout South Jersey and the Philadelphia metropolitan area. The firm is also involved in the sale and development of commercial land, acquisitions, property management, appraisals and investments. Founded in 1922, Markeim is one of the oldest and most respected firms in the area and maintains a strong commitment to community enhancement and charitable activities. For over 10 years, CLM Advisors LLC has been focusing on increasing profits for South Jersey businesses. With their knowledge of accounting, fiscal management, finance and tax, they develop business plans to guide their clients to achieve their goals. They understand the intricacies of running a business, and as advisors, hold their clients accountable and keep them on track. Whether a business is succeeding, failing; or just getting started, CLM can help it prosper. Published (and copyrighted) in South Jersey Biz, Volume 8, Issue 8 (August 2018).